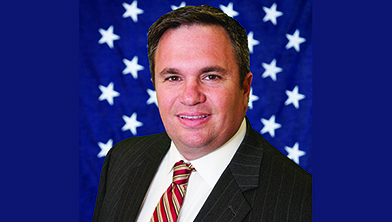 Rep. Jamie Santora is a Drexel Hill native who has dedicated his life to preserving and sustaining his Delaware County community. In November 2014, he was elected to serve the 163rd District of the Pennsylvania House of Representatives. He serves on the Professional Licensure, Local Government, Urban Affairs, and Children and Youth committees. Jamie has lived in Drexel Hill for more than 38 years and is a graduate of St. Dorothy School, Cardinal O’Hara High School and Cabrini College. Please join me, Rep. Jamie Santora, for a live telephone town hall to discuss important state-related issues facing the 163rd Legislative District. This type of meeting allows you to listen in and ask me questions from the comfort of your own home via your telephone or live audio stream. Sign up here to register and receive a call for my next telephone town hall. I look forward to hearing from you.